Commemorations to German rocket scientist Wernher von Braun (1912 ~ 1977) are on-going. Britain’s mainstream media ignores such pleasantries. This is reasonable since the space scientist’s pioneering V1 and V2 rockets once caused panic in wartime London. 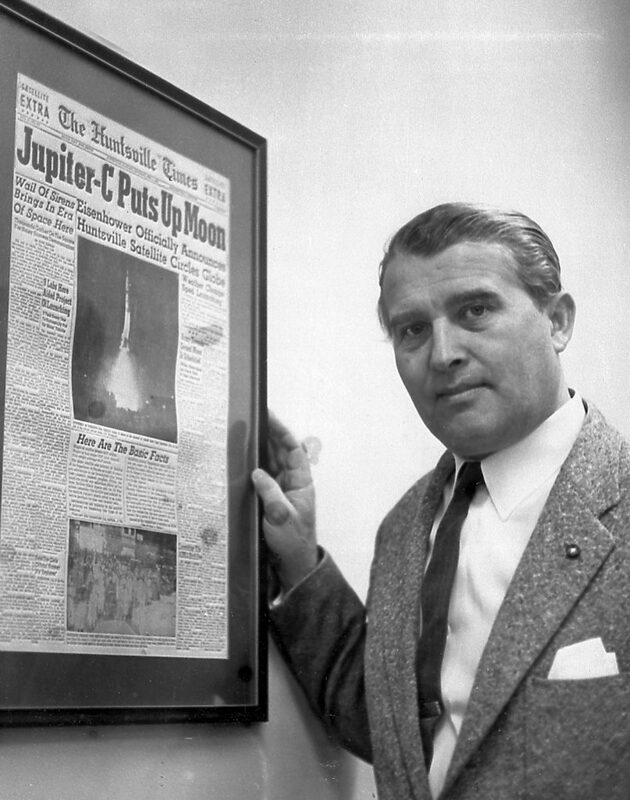 Space pioneer Wernher von Braun is idolised in the U.S city of Huntsville. The former SS-Sturmbannführer who designed V-2 rockets for the German war effort during World War II was later to build the Saturn V rocket. This is the spacecraft that catapulted U.S astronauts Neil Armstrong, Buzz Aldrin and Michael Collins on their mission to the moon in 1969. The German scientist was born in Wirsitz, which is now situated in Poland. Like many young men of the period the young Wernher had an insatiable appetite for anything relating to science fiction and space travel. In 1920 the young Wernher’s reading material tended towards that of Jules Verne and H.G. Wells. The dreamer must have wondered when fiction would be turned into reality. After reading noted physicist Hermann Oberth’s 1923 report Die Rakete zu den Planetenräumen (By Rocket to Space) the young student himself left tall tales behind him. So he could better master the physics of rocketry Wernher von Braun took up the study of calculus and trigonometry. 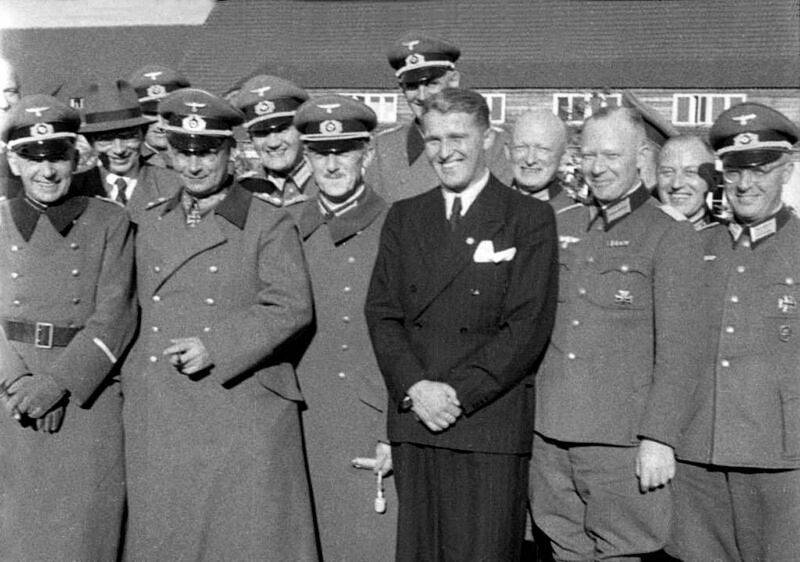 By the time he received his doctorate from the University of Berlin in 1934, Wernher von Braun was working for the German military. The aspiring student was under the tutelage of Hermann Oberth (1894 ~ 1989) in building and firing small, liquid fuelled rockets. During World War Two he led rocket research at the German propulsion laboratory in Peenemünde on the Baltic coast. But von Braun wanted to do more than develop weapons. The German scientist wanted to use rocket power to penetrate space. He desperately wanted to create a new frontier for scientific exploration. His dream was to eventually colonise the planets. War came to its bloody end and the team of surrendered scientists was invited to hone their skills in the United States. Their destination would otherwise have been the USSR. In 1945 the Soviet Union assisted by its allies was already sweeping up the best of German scientific talent. Along with the scientists went the laboratories, scientific know-how and physical removal of German factories and plants. If it could be moved the Russians, Americans and British certainly moved it; when they couldn’t move it they simply dynamited plants. When the dust of World War II settled down the U.S was keen to get started on its own space program. U.S military was well aware that their former Soviet allies were thinking along similar lines. Bolshevik Russia’s space program was largely dependent upon the Reich’s kidnapped scientists. The American space effort was situated at White Sands Proving Ground, New Mexico. There was built the first dominant engines that would power rockets capable of breaking free of the earth’s restraining atmosphere. 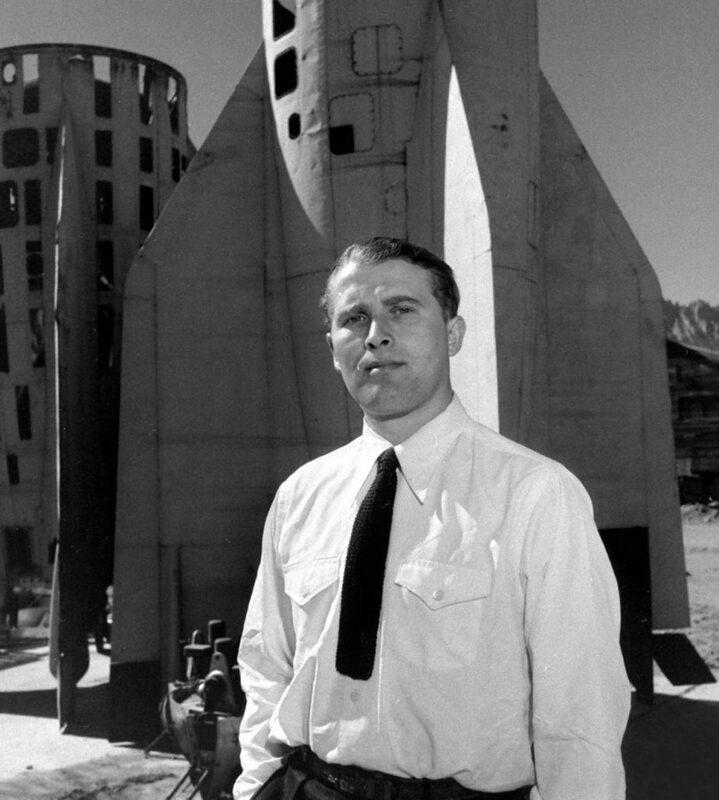 In 1950, von Braun and his team moved to Huntsville to oversee rocket development for the U.S Army. Led by Wernher von Braun the team of scientists embarked upon the development of the Jupiter Rocket. 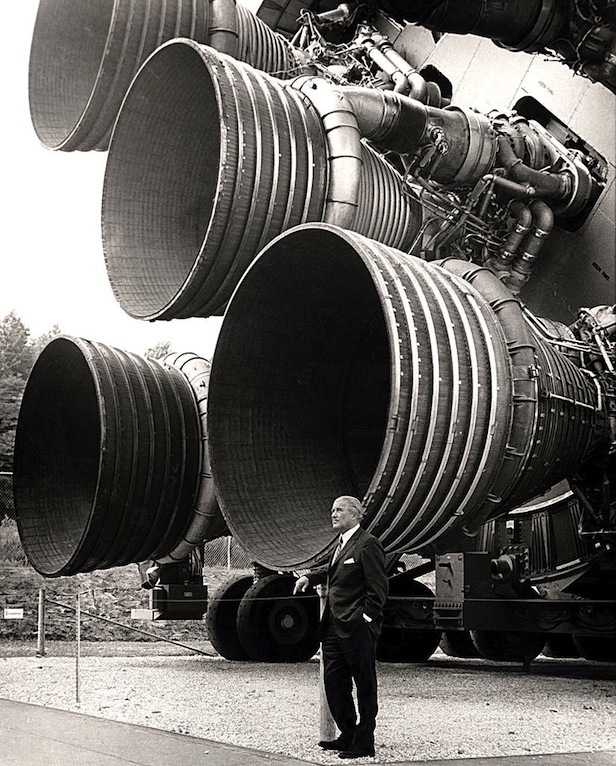 The Huntsville community was the nation’s fastest growing town and became known not as Peenemünde Mk 2 but as ‘Rocket City.’ By the time the Marshall Centre opened on Redstone Arsenal in 1960, von Braun had been a naturalised U.S. citizen for five years. As Marshall’s first director, a post he held from July 1 1960 to January 27, 1970, von Braun spearheaded development of NASA’s Mercury and Apollo space programs. Without the benefit of computers or state of the art manufacturing tools, essential to modern aerospace industry, the team built and tested the world’s most powerful engines. During the very early years the engine designs had the power necessary for tossing massive vehicles out of the earth’s atmosphere. Werner had come a long way since reading up on H. G Wells and Jules Verne as a schoolboy. As he laboured von Braun tirelessly aimed not just at his space projects but at the public imagination. He knew he needed an enthusiastic public to put rocket fuel in his bid to attract capital from Washington DC. The German scientist constantly made impassioned public presentations about the future of space travel in Collier’s Weekly and at seminars; he also assisted in making documentary features for Walt Disney. Wernher von Braun’s crowning achievement came in November 1967. It was then that the massive Saturn V rocket successfully launched for the first time. Just 12 months later this monument to human achievement would propel into space the first humans. On July 21, 1969 space explorers walked on the moon for the first time. Theirs was a small step for mankind and a giant step for Wernher von Braun. During 1970, von Braun moved his family to Washington where he was to lead strategic planning for the agency. The German scientist retired from NASA in 1972. The man who really knew what rocket science was all about passed on in Alexandria, Virginia on June 16, 1977. The timing of his spiritual journey to the afterlife was an appropriate moment’s departure in earth time. That same year, the first space shuttle began flight tests. We turn things around by showing the Reich in a positive light. Mainstream media was always negative but the influence of MSM is now waning. Alternative media is now supreme. Agreed, the worst of times are turning to the best of times. The clarity our people have been longing for is coming forth. The dream is alive again and creative souls like your self are a beacon of inspiration.